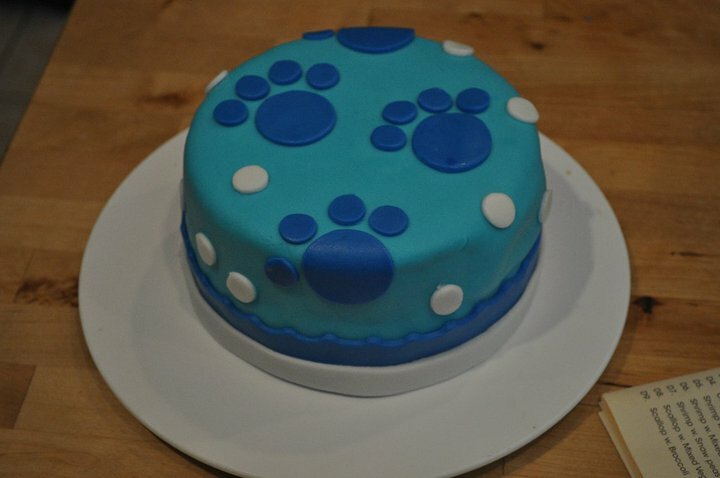 Preschool kids will love this Blues Clues Cake. This birthday cake is made with fondant icing and you can learn how to make fondant icing or you can order a cake like this from your local bakery. This picture comes from a bakery in Metuchen, New Jersey. If you live near there you can order this cake! If your child is a Blues Clues fan you should use this fun party theme for your next kids birthday party. It's easy to find blue party supplies, cute party favors and fun games with Blue as your theme. Use the theme song to the TV show as your party music. Play some muscial games with the theme song...games like musical paws...cut out dog paws from paper bags or giant pieces of paper. Color or paint them blue and secure them to your floor. Play this game like you would musical chairs using the paws instead of chairs.